These PROPERTY BRIEFINGS are more like fireside chats – where Chris Lang (Amazon Best-selling author & Australia's leading property adviser) is interviewed on the issues vital to your success with Commercial Property. Originally weekly, for 20 to 25 mins ... now the clear preference is monthly, for around 10 minutes. Topics vary from fundamentals … to invaluable insights – everything you really need to know, to master Commercial Property. In this Episode, we will explore ... * Accurately assessing your Equity. * Failing to allow for Acquisition Costs. * The simple Rule to safeguard yourself. THE NEXT PODCAST we'll cover Purchase Price Vs Actual Value. In this Episode, we will explore … * The various choices you have available. * What are the pros and cons of each one? * Is there a preferred option? THE NEXT PODCAST we’ll talk about how to ensure you Don’t Pay Too Much. In this Episode, we will explore … * Should you manage your own property? * Understanding your legal responsibilities. * Your obligations as a Landlord. * How to protect your interests. THE NEXT PODCAST we’ll talk about Choosing the Right Purchase Vehicle. In this Episode, we will explore .... * Why do capital city office markets fluctuate? * Which markets are the most predictable? * How will this affect things going forward? 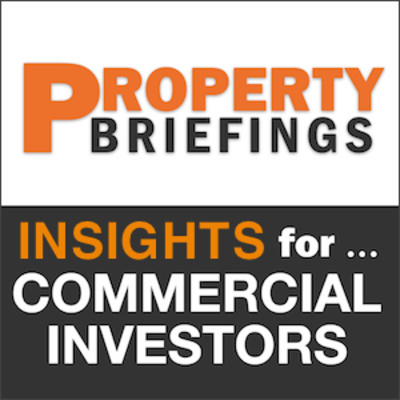 * What does it mean for Commercial property Investors? You can download these two Charts. THE NEXT PODCAST we'll talk about Complying with Regulations. PB-152 Are Selling Yields Always at Market Level? In this Episode, we will discuss ... * Why would you accept a yield below-market? * What about an above-market yield? * Issues with a non-conforming use. * The homework you need to undertake. THE NEXT PODCAST we'll talk about Seeking Consistent Performance. In this Episode, we will discuss ... * The Importance of understanding what's involved. * Deciding on the ideal Policy for your Commercial Property. * A little-known Secret about how to optimize your claim. IN THE NEXT PODCAST we'll talk about Selling Yields. Today, we will take a look at ... * How Total Returns for commercial property have trended since 2006. * And then, you will be given a handy breakdown between rental yields and capital growth – on a sector-by-sector basis. * Finally, you will delve into the current state of the Retail property market – taking a forward look at its prospects going forward. You can also download the charts mentioned in the podcast from ... http://propertybriefings.com/wp-content/uploads/2018/09/Total-Returns.pdf THE NEXT PODCAST will explore the importance of Insurance. PB-149 Why Do Properties Fail? In this Episode, we will discuss ... * The Issues involved. * Some Solutions. * Being fully aware. THE NEXT PODCAST will help you Understand Total Returns. In this Episode, we will explore ... * What is the Difference? * Why is it important? * Several useful examples. THE NEXT PODCAST will discuss why some Properties Fail. In this Episode, we will discuss ... * The Real Issue involved. * Two Areas of Concern. * The need for proper Assessment. * A very simple "Rule of Thumb". THE NEXT PODCAST will compare GOOD property with GREAT property. PB-146 Can You Use Your Super? In this Episode, we will discuss ... * If Super works for Commercial property. * What about for your Family home? * The various Benefits you'll enjoy. * Where to obtaining Specialist advice. Your first point of contact for advice should be: Dr Steve Enticott at CIA Tax ... (03) 9553 1210 http://propertybriefings.com/wp-content/uploads/2018/05/SMSF-600.png THE NEXT PODCAST will Make Sure You Don't Pay Too Much. PB-145 Why Do Some Negotiations Fail? In this Episode, we will explore ... * "Fixed-Pie" thinking. * The importance of Prep-Work. * Why Win-Win is so vital. * Overcoming "Buyer's Remorse". THE NEXT PODCAST will explain how you can use your Super Fund. In this Episode, we will talk about ... * When to do Due Diligence. * The Key Aspects involved. * How to make Comparisons. * The importance of Consultants THE NEXT PODCAST will explain why some Negotiations fail ... and how to avoid it. In this Episode, we will talk about ... * Where do you begin? * How it works in practice. * From the Vendor's perspective. * And for you as the Purchaser. THE NEXT PODCAST will cover your Pre-purchase Analysis. In this Episode, we will talk about ... * Their Financial Standing. * And for an Existing Tenant. * Confirm their Payment History. * What about Personal Guarantees? THE NEXT PODCAST will help you determine Your True Net Income. In this Episode, we will talk about ... * An Overview of the Process. * Shortlisting your Properties. * Using an App to help you. * The on-site Inspection. You can download the FREE App: https://itunes.apple.com/au/app/hireturn-filter/id716495090?mt=8 THE NEXT PODCAST will look at Checking out your Tenants. Today, we'll take a look at ... * Things to be Aware of. * How should you React initially? * When do you Reach Agreement? * Some specific Warnings. THE NEXT PODCAST will explore How to Make Your Choice. Here is where you get to Verify everything ... * What exactly is Due Diligence? * When do you undertake a DD Study? * How extensive is the Study? * What Form does it usually take? THE NEXT PODCAST will explore some Negotiating Fundamentals. PB-138 Does the Deal Stack Up? Here you will learn about assessing potential properties ... * How much Experience do you need? * Understanding the Terminology. * Establishing the price to pay. * What about Building Outgoings? THE NEXT PODCAST will explore the issue of Due Diligence. There are some fundamental things to consider ... * Should you be a Pioneer? * Learn from a specific Example. * How important is Location? * Step back and Observe what's happening. THE NEXT PODCAST will explore ... Does the Deal Stack Up? Here you'll Discover what's needed for You to Succeed ... * Preserve your Equity & Control your Liabilities. * Look to Add Value & Understand Long term. * Be Focused & always Consider your "Partners". THE NEXT PODCAST will explore How to Pick a Growing Area. Here you'll Learn how to simplify the Finance Process ... * Why do some Investors become Fearful? * How do Residential & Commercial loans differ? * The 3 main Criteria used by Lenders. * How you can maintain control. THE NEXT PODCAST will discuss your 6 Success Pillars. Here you'll discover ways to accelerate Capital Growth ... * Reasons why Properties grow in Value. * Construction-related avenues. * The importance of Property Management. * Market-related aspects. THE NEXT PODCAST will explore some Commercial Lending Secrets. PB-133 Why Only Look 4 Years Ahead? It's important you have a realistic Time-frame ... * There are several Key Reasons. * Mandatory Reviews are vital. * Making valid Comparisons. * When to Sell your property? THE NEXT PODCAST will discuss how you can Add Value to your Commercial property. This might surprise you ... * They're starting younger. * The Reasons for this. * They face two Choices. * Why Commercial property? THE NEXT PODCAST will reveal why you should only look 4 years ahead. Things you need to carefully consider ... * Never Focus just on Price. * What makes a Master Negotiator? * Some of the necessary Skills. * How to Compromise effectively. * Giving yourself room to move. Like to learn more about Chris’ Master Class on Negotiating? https://propertyedge.samcart.com/products/negotiating-masterclass/ THE NEXT PODCAST will detail a new group of Investors in the market. Several things worth knowing ... * The difference between Commercial & Residential loans. * Which 3 Key Factors do Lenders consider? * The actual Loan process itself. * What happens after you purchase the property? THE NEXT PODCAST will cover 5 Negotiating Tips. Here's where my Secrets are revealed ... * Understanding the Format and Main Players. * Who is in Charge; plus, How to take Control? * How to get the Auctioneer on your side. * Ensuring you don't pay too much. THE NEXT PODCAST will explore some more Finance Tips for you. Today we'll cover a range of Topics ... * Why is Finance so Crucial? * Two Key Factors for Future Growth? * What can impact upon these Factors? * How to quickly gather Market Research. THE NEXT PODCAST will explain How to Bid at Auction. This episode helps you to better understand these Markets ... * Which ones are performing and which aren't? * Why is there such a Disparity between them? * What's happening with Rent levels? * When is the right time to Invest? 2016 Office Vacancy Levels: http://propertybriefings.com/wp-content/uploads/2016/10/PCA-Vacancies-Jun16.png THE NEXT PODCAST will include a Mixed Bag of questions. This episode will debunk several Myths ... * Commercial properties must be New. * Your Accountant prepares your Claim. * Only Tenants can claim for a Fit-out. * Your Tax Schedule is required ASAP. You can contact Michael Mann (03 9654 2233) at BMT Tax Depreciation to arrange a Schedule for your property. And mention Chris' name when you do. THE NEXT PODCAST will cover the Office Markets. This episode will delve into working out ... * What's Possible? * What's Appropriate? * What are you Capable of? * Your actual Spending Power. Here is a summary of the overall process: http://propertybriefings.com/wp-content/uploads/2016/08/CoreFocusGraphic.jpg http://property-edge.com.au/#survey THE NEXT PODCAST will explore Depreciation Benefits. This episode will explore ... * Over-extending Yourself. * How to Undertake Basic Research. * Trends, Tipping Points & Adding Value. * Deciding When You Should Sell. THE NEXT PODCAST will cover How to Focus for Success. This episode will disclose ... * Some General Background. * Various Risks Involved. * The Invading Overseas Retailers. * Regional Shopping Centre Expansion. Here are a couple of helpful charts ... http://propertybriefings.com/wp-content/uploads/2016/05/Overseas-Retailers.png http://propertybriefings.com/wp-content/uploads/2016/05/Regional-Expansion.jpg THE NEXT PODCAST plans to delve into various Common Sense issues. This episode will cover ... * What to do BEFORE you begin. * Setting things up from the outset. * Handling the Negotiating phase. * When Roadblocks start to emerge. * How to bring everything to a Close. THE NEXT PODCAST plans to explore the state of the Retail Sector. This episode ... * Re-caps the Benefits of Commercial Property. * Scopes the Key Aspects you should consider. * Explains the Relationship with your Tenant. * Discusses several Safeguards you can adopt. * Covers the Opportunities in Regional areas. THE NEXT PODCAST plans to explore various Negotiating Success Tactics. This episode will ... * Help you appreciate the Importance of Goals. * Provide you with a personal Case Study. * Give you the Ingredients for your own Plan. * Explore what you need, in order to Succeed. Here's the Goal-Setting Video: http://commercialpropertymadeeasy.com/atm-video-1/atm-video-goals/ THE NEXT PODCAST explores some Commercial Property Insights. This episode explains ... * A number of further Key Legal Terms * How to Deal with Negotiating Impasses THE NEXT PODCAST talks about the Need for Goals; plus your Success Attributes. PB-118 Invest Passively or Refurbish? This episode explores your options ... * When to make the Decision. * What Type of property works best? * Where you do you find them. * How to Add Value quickly. THE NEXT PODCAST talks about Legal Terms & Negotiating Roadblocks. This episode explains things from a Lender's viewpoint ... * How Commercial property differs. * The Level of Debt coverage. * Your Loan to Value ratio. * The Property and You. * Understanding the Process. * Make sure you're in Control. THE NEXT PODCAST explores Passive Investment and Refurbishing. This episode uncovers ways to Safeguard your Assets ... * Common-sense Strategies. * Choosing the correct Vehicle. * The Legal Aspects to consider. * Having the appropriate Insurance. * Do you need a Planning Permit? * Key Issues you need to address. Learn more about some Key Insurance Secrets https://propertyprofits.leadpages.co/insurance-unpacked/ THE NEXT PODCAST will look at things from a Lender's Perspective. This episode explains some of the feedback on how listeners are ... * Coping with the Amount of Content. * Plus, the Frequency of the Podcasts. THE NEXT PODCAST will talk about Protecting your Property. This episode explores some of the key Drivers of Value ... * Interest and Infrastructure. * Demographics and Consumer spending. * Lease length, Property size and Demand. * Some final thoughts. THE NEXT PODCAST talks about Protecting your Property. This episode Analyses an Effective Proposal ... * How to Capture the Vendor's Attention. * The Importance of proper Homework. * How to Structuring a Commercial Property Deal. * Pulling everything together. THE NEXT PODCAST covers Commercial property Drivers . This episode will arm you with the 3 Key Ingredients for your Success ... * How to ensure you have everything at your fingertips. * Sift, sort and screen properties in 3 minutes or less. * Possess confidence when Deciding. THE NEXT PODCAST will uncover the Essence of a good Proposal. This episode some of the more confusing Commercial property Terms ... * What does Amortisation mean? * The two types of Options. * The How and Why of Eviction. * Deeds come in 3 different forms. THE NEXT PODCAST will take a look at some Basic Investor Tools. This episode gives a quick review of ... * The current State of the Office Market. * Which Cities are Preforming. * The recent Take-up in Space. * Why some Markets are Soft. http://propertybriefings.com/wp-content/uploads/2015/08/CBD-Offices.jpg THE NEXT PODCAST will cover the Terminology you should know. This episode looks at ... * Some "Housekeeping" issues. * Research and Due Diligence. * Ensuring you don't Overpay. * Adding Value afterwards. THE NEXT PODCAST will provide an update on the CBD Office markets. This episode covers ... * The different Phase in the Cycles. * How to Recognise where you are. * The Best time to Buy. * The Capital City variations. THE NEXT PODCAST will discuss Risk-Proofing your Investment. This episode covers ... * What Due Diligence entails * Your 3 Key Components. * The Importance of Timing. * Getting a 2nd "Bite at the Cherry". THE NEXT PODCAST will explore ... the Commercial Property Cycle. This episode explores ... * The ongoing issue of "Misquoting". * Why it starts with Advice to Vendors. * How some agents treat prospective buyers. * The best strategy to overcome the problems. THE NEXT PODCAST will revisit the importance of Due Diligence. This episode covers ... * From where will it generate its listings? * Will this create unwanted competition? * The two methods for charging. THE NEXT PODCAST will discuss ... Deal with Selling Agents. PB-105 Why Have Commercial Property Managers? This episode explains ... * It's more than just collecting rent. * Strategy and Compliance issues. * Essential Services Regulations. * Your Obligations as a Landlord. THE NEXT PODCAST will discuss ... a new Commercial property Trend. This episode talks about ... * Uncovering their Qualifications. * Confirming their Level of Experience. * Building ongoing an Relationship. * Determining what they Expect of you. THE NEXT PODCAST will discuss ... Why have a Property Manager. This episode explores ... * What you can't claim as a deduction. * Where your principal deductions lie. * Some additional things you can claim. * A few final thoughts. Here is where you can obtain your Tax Return Checklist: http://commercialpropertymadeeasy.com/its-tax-time-again/ THE NEXT PODCAST will discuss ... How to Choose a Commercial Property Adviser. This episode explains ... * Why even Pros can experience Problems. * Thorough Preparation is so important. * There is no place for Emotional involvement. * The final outcome always needs to be Win-Win. How to Become a Master Negotiator: https://propertyedge.samcart.com/products/negotiating-masterclass/ THE NEXT PODCAST will show you How to be Tax Aware. This episode explains ... * Why "Location" itself is not the prime concern. * Where the Tenant and Building fit in. * The importance of the Commercial environment. * The correct way to view potential Competition. THE NEXT PODCAST will explore Why some Negotiations Fail. This episode explains ... * How to Access the Material you need. * Where to Begin when you're just Starting Out. * Where to go for more Advanced Material. * What to do, when you're ready to Step into the Market. You can go to this website now: http://commercialpropertymadeeasy.com THE NEXT PODCAST will uncover your Key Ingredient. This episode cover the key Questions ... * Have you been paying Enough Attention? * Should you wait until there is a Crisis? * What should you expect from your Managers? * As a guide, how much should you be Charged? THE NEXT PODCAST will discuss at a "Smorgasbord" of material. This episode explores ... * The present Commercial Property Market. * Why the Fundamentals are so Important. * Things you can do to come out on Top. * Why the Correct Investment Vehicle is vital. THE NEXT PODCAST will explore the aspect of Property Management. This episode walks you through ... * The vital formula ... Success = E + D + I + T * Generating the necessary up-front funds. * How keep your lenders under control. * Your important role as the Landlord. THE NEXT PODCAST will explain why you Never Ignore the Basics. 096-Do You Make These Mistakes? This episode covers the need for ... * Investigating Commercial property. * Skill when Negotiating. * Thorough Due Diligence. * Insider Knowledge with Finance. THE NEXT PODCAST will explore the Anatomy of a Great Deal. This episode explains ... * Why it's better to purchase Commercial property off-market. * How to prepare yourself for a Public Auction. * What to do during the Auction process. * How to structure your Bidding sequence. THE NEXT PODCAST will explore the Common Mistakes investors make. This episode tries to make sense of ... * Certain Local and Global events. * How they are likely to play out. * What effect will have on Commercial property. * How Investors need to rethink their Strategy. THE NEXT PODCAST will go behind the scenes of Bidding at Auction. This episode explores the important aspects of ... * Where the greatest influence will occur. * How will it affect Commercial property investors. * Baby-boomers as Tenants and Owner-occupiers. * How the present Cycle is likely to be effected? THE NEXT PODCAST will delve into some of the current "weird" events. This episode takes a look at how to ... * Prevent yourself from Over-committing. * Ensure a proper Assessment of the marketplace. * Fully engage your own Common Sense. * Step around the need for Personal guarantees. THE NEXT PODCAST will explore the impact of Baby Boomers. This episode takes a look at what happens at the End of a Lease ... * Commercial Tenants' Obligations. * More than just day-to-day Maintenance. * How to assess the "Make Good" requirements. * Choose Re-instatement ... or a Cash Settlement? THE NEXT PODCAST will explore How to Avoid any Potential Pitfalls. This episode explains the transition from Residential to Commercial property ... * Added Security and Stability. * Various Hip-pocket Advantages. * Additional welcome Tax Benefits. THE NEXT PODCAST explains what to do when your Tenants leave. This episode walks you through the Questions to be covered ... Before you even begin Negotiating. During the process of it unfolding. As you move towards the Final Stages. Simply order your Framework for a Great Deal: http://bonus-material.s3.amazonaws.com/CPME-eBooks/NegotiatingFramework.pdf THE NEXT PODCAST will explore 7 Reasons to Swap to Commercial Property. This episode addresses the reason why ... You need to have Focus. Achieving a Balance is important. There is a difference between Real & Rigid. Clearly-defined Goals can transform your life. Here's where you can watch a Video on Goal Setting made easy: http://commercialpropertymadeeasy.com/atm-video-1/atm-video-goals/ THE NEXT PODCAST will explore how to Frame a Great Deal. This episode take a look at ... The impact of falling Oil Prices. How that will affect our Exporters. The Federal Budget and the Economy. Is this the "Circuit Breaker" we need? Here's where you can view and download various: http://property-briefings.s3.amazonaws.com/Economic-Charts&Tables.pdf THE NEXT PODCAST will reveal the importance of having clearly-defined Goals. This episode will discuss ... * The falling Australian dollar. * What is likely to happen to interest rates? * The Cost of living over the next few years. THE NEXT PODCAST will take a look at Oil Prices going forward. This episode will address these mis-conceptions ... * Finding and Packaging worthwhile Deals. * You need to have Loads of Cash. * Moving from Residential to Commercial property. * Commercial tenants are more difficult. * Managing Commercial property is complex. THE NEXT PODCAST talks about Negotiating once again. This episode Reveals a number of little-known Advertising Secrets ... * The Fundamental 3-Step Process. * Headlines can make or break your Advertising. * The vital importance of Fonts, Size and Colour. * How to come up with the very best combination. THE NEXT PODCAST will discuss 5 Myths surrounding Commercial property. This episode will seek to debunk 4 Common Myths ... * Growth in Casual work is out of control. * People are staying in the same job for shorter periods. * Job Insecurity is definitely on the rise. * Tele-work has transformed the employment scene. THE NEXT PODCAST will take you into the World of Advertising. This episode will cover ... * The 4 distinct Investor Groups. * Where they currently live within Australia. * Their preferred location for Commercial property. * The Reasons for making that choice. THE NEXT PODCAST talks about Employment and Office property. This episode will explore ... * How to determine your Opening Proposal. * The significance and Power of Numbers. * Making sure you don't "Give the Farm away". Here's a short Video, if you'd like to take things to the next level : https://propertyedge.samcart.com/products/negotiating-masterclass/ THE NEXT PODCAST will reveal the Skill of Choosing Wisely. This episode will explore ... * The Relationship with your Bank. * How even novices can have Power. * Taking Control of the Finance process. * Something you should be very wary of. THE NEXT PODCAST will cover a few more Negotiating tactics. This episode will cover ... * An overview of the Australian Market. * A quick summary for various States. * Taking a look into the Future. * Reviewing the 3 Sectors. THE NEXT PODCAST revisits some Finance Issues. This episode will cover ... * The Cause of our Falling Dollar. * How this Affects the Economy. * What about Australia's Budget? * The direction for Interest Rates. THE NEXT PODCAST looks Industrial Property incentives. The Cause of our Falling Dollar. How this Affects the Economy. What about Australia's Budget? The direction for Interest Rates. PB-074 Is The Market Over-Heated? This episode will cover ... * The Myth of the Housing Boom. * How the RBA could or should intervene. * What role investors are actually playing. * The emergence of Gen-Y as active investors. THE NEXT PODCAST looks deeper into the falling Aussie Dollar. With Commercial property, understand: * The need to return to "Fundamental Principles". * Grasping the Psychology, before embracing Technology. * How to effortlessly shift the Power to your advantage. THE NEXT PODCAST takes a look at whether the Market is over heated. This episode will cover ... * The impact of a high Aussie Dollar after the GFC. * How a fall will change the Economic Landscape. * The likely effect of the capital city Apartment boom. * How all this will affect Commercial property investors. THE NEXT PODCAST takes an in-depth look at Stealth Marketing. This episode will cover ... * Simon Kelly's book about the Irish Property Crash. * The harsh Lessons he learnt along the way. * Steps you can take now to Protect your Portfolio. * How to position yourself to Capture a Strategic Advantage. THE NEXT PODCAST looks at Commercial Property and the Aussie Dollar. This episode will cover ... * Why the Retail Sector is suffering. * Is this occurring all around Australia? * What impact did the Mining Boom have? * How will the Regional areas be affected? THE NEXT PODCAST take s a look some Lessons to be learnt from abroad. This episode will cover ... * Where to make a start with Commercial property. * The Need for an Overall Strategy. * Understanding the Metrics involved. * How to set about uncovering the Best Properties. THE NEXT PODCAST will explore Commercial Property and the Economy. This episode will cover ... * The different Negotiating styles. * The Reason why Questions work so well. * How to unearth their Outstanding Issues. * Your secret weapon, to help Conclude the Deal. THE NEXT PODCAST will explain the need to ... Check the Basics. This episode will discuss ... * How to establish their Credentials. * Discover how they handle Tenants? * The importance of regular Feedback. * The issue of Fees. THE NEXT PODCAST will help you understand the aspect of Total Return. This episode will discuss ... * The Need for a System. * How to Build Up Your Equity. * Identifying Emerging Markets. * How to Add Value & Reposition. THE NEXT PODCAST will explain: How to Interview Your Property Manager. This episode will reveal ... *The Underlying Psychology. * Why Tenders fell out of favour. * How Stealth Marketing "turned the tables". *The Secret of returning Power to the Vendor. THE NEXT PODCAST will talk about making Money from Commercial property. This episode will explore ... * How it is a Game with its own Rules. * The importance of Opening Gambits. * How to keep Control of a Negotiation. * Regaining Control if ever you lose it. THE NEXT PODCAST will talk about the Secrets of Stealth Marketing. This episode will explore ... * The fundamentals of a Development project. * Issues to watch during the Planning stage. * While Construction is taking place. * After the project reaches Practical Completion. THE NEXT PODCAST will talk more about successful Negotiating. This episode will explore the ... * Events of the past few months. * Improved Consumer spending. * Latest move by European banks. * Likely impact on the Commercial property market. THE NEXT PODCAST will talk about the Dangers of Property Development. This episode will explore ... * The Ford & Holden automotive closures. * Likely economic repercussions. * Retraining of the sacked workers. * Impact upon the property market. THE NEXT PODCAST will talk about the recent Economic uplift. This episode will explore ... * Several alternative Office uses. * The emergence of Co-working Hubs. * Who actually occupies these Hubs. * What this means for Landlords. THE NEXT PODCAST will talk about Commercial property going forward. This episode will explore ... * What "Hot Desking" actually involves. * The Rationale behind this office layout. * Detailed Research shows it is fundamentally flawed. * An Investor's perspective looking forward. THE NEXT PODCAST will talk about how to Re-invigorate your Office Space. This episode will explore ... * How to Benchmark Passing Yields. * The reasons for a Lower Yield. * Sometimes a Higher Yield. * How to make Sense of it all. THE NEXT PODCAST will talk about a Commercial property Fad. This episode will revisit ... * Undertaking a Quick Upgrade. * Capitalising on a Strategic Vacancy. * Recognising a Poorly Managed property. * Handling a Change of Use. * Benefiting from Market Cycles. THE NEXT PODCAST will talk about the importance of Passing Yields. In this episode you'll learn ... * How to go about minimising your risk. * Understanding there is more than one way. * The alternatives you actually have. * What if you're a little more adventurous? THE NEXT PODCAST will talk about how to Add Value to your portfolio. In this episode you'll learn about ... * The principal Economic factors. * Demographics and Population growth. * The impact of Infrastructure development. * How important of the Lease structure is. THE NEXT PODCAST will talk about how to Diversify with Commercial property. * Identifying your Pivotal issues. * Dealing with the Cosmetic items. * Ensuring the Financial aspects are covered. * Knowing where you are in the current Cycle. * How Commercial & Residential leases differ. * The Key components of a Commercial Property lease. * Understanding the importance of Rental. * Choosing the best Form of lease. * The Physical aspects, as well as others. * What to do when you uncover something. * How Vendors will generally react. * The Secret to including a DD Study. * The ideal Structure for Success. * How to coordinate your Team. * Clever ways to Delegate. * What causes a Negotiation to falter. * Your 10 quick and easy Remedies. * Why there is no room for Anger. * And how to cope when it surfaces. * How Vacant & Tenanted Commercial properties differ. * Whether you need to be Registered for GST. * A couple of Tips to give you a competitive Advantage. * Why would you Borrow at all? * How much is ... Too much? * How to eliminate your Risks. * Some final Tips for Success. * The Problems with Retail property. * Major changes to the Tenancy Mix. * Likely further changes in the future. * The impact of Online Shopping. * How to Shorten your Learning Curve. * Stepping outside your Comfort Zone. * How to Multiply your Time. * Things you simply Must Control. * The Reasons for getting it right. * Your three (3) fundamental choices. * The Pros and Cons of each separate Entity. * Which Entity appears to be the most popular. * It's certainly not all doom and gloom. * How such "disasters" bring unforeseen benefits. * There are valuable long-term structural advantages. * How all this aligns with Australia's overall economic position. * How to predict when I deal is about to go sour. * How to manage the other parties involved. * How to manage the issues under your control. * How to avoid surprises down the track. * About Risk, and preserving Equity. * Controlling Liabilities and Adding Value. * Your Consulting team and Long-term benefits. * Tenant Security and the impact of a good Reputation. * How to interpret Information Memorandums. * Three (3) methods for establishing a property's Worth. * The importance of Location & Expenses. * Why Lease Structure often holds the key. PB-031 Invest in What, and Where? * The Reasons for owning your Business' property. * The various Disadvantages of doing so. * Resolving the ultimate Dilemma. * Gain the most from every move you make. * Negotiation is actually a 3-D Process. * Where you should focus your attention. * The difference between an Impasse, Stalemate & Deadlock. * Four takeaways you can start using immediately. * Why Commercial property trumps Residential. * How Commercial tenants differ from residential ones. * Plus 7 Dos and 5 Don'ts for Commercial investors. * How to obtain "above market" Growth. * Turning Statutory requirements to your advantage. * Making sure you don't run yourself ragged. * Having a Portfolio Review process in place. What there is ... in addition to Negative Gearing. * Things you can do to maximise your deductions. * How to boost the overall return from your property. * A Secret most Commercial Property investors don't know. * The background to Step 6 of the Investment Formula. * How it impacts on your Lending arrangements. * The secret to avoiding those last-minute Surprises. * A couple of additional tips on Borrowing. Here's where you'll discover ... * Who should be preparing your leases – and why. * The importance of conducting Due Diligence. * What should be included in the Scope of Works? * How to cost-effectively gain the comfort you need. * For how long should your Projected Cash Flows be? * Should you consider them set-and-forget Investments? * Tips on how to help guarantee your Investment success. Removing some of the mystery surrounding Personal Super Funds and ... * The purchase of Commercial investment property; * Leasing it back to your own business; and * Understanding limited-recourse finance. Here is the flow-chart to help you understand how finance is structured – when buying Commercial property within your Personal Super Fund. http://propertybriefings.com/wp-content/uploads/2013/10/SMSF.png If you would care to have a more detailed discussion, simply give Dr Steve Enticott a call on (03) 9553 1210 ... and be sure to mention my name. Steve is the managing partner of CIA Tax ... and would be more than happy to guide you, in regard to your personal circumstances. Chris removes some of the mystery and mis-understandings behind ... * What is the process, when a tenant eventually leaves? * How does Depreciation really work to your benefit? * What makes for a successful private Syndicate? Plus ... * Some final tips on Commercial property investing. Chris is quizzed on how he views some of the external influences, which could affect Commercial property. * China's future growth prospects. * How the US economy is travelling. * General media commentary. * Business confidence here in Australia. * Specific tips for Commercial property going forward. Several key questions about how to assess Commercial property. * What are the Demographic & Economic indicators to keep in mind? * How to assess the Regional and outer-lying areas around each capital city. * 5 common Mistakes to watch out for. Not every Investor is seeking to purchase a Commercial property for over $1 million in value. And so, in this podcast, Chris will cover ... * the preferred sector for the small to medium Investor; * where you ought be focusing your attention; but more particularly ... * WHY that is; and also * a quick insight into what happens after the Election. In this Podcast, you'll explore Stealth Marketing in far more detail. * The benefits of selling through Public Tender. * Why some agents mistakenly choose Expressions of Interest. * A simple 3-step formula for "telling the whole story". * Everything at work, in a Case Study ... http://claremont-tender.info/ Plus, Chris will also provide a quick update on the various requests by Members for personal Mentoring. Recognise your Investor Profile. * Scope your 8 Investment Objectives. * Focus on your 12 Buying Criteria. Some initial background. * How the 9-Step Investment Formula was born. * A brief explanation of what the Formula entails. * Debunking several common Commercial Property Myths. * Scoping the framework for future Podcasts.